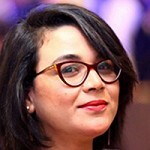 May Elshamy is an Egyptian journalist who recently got fired from the Youm7 online newspaper in Cairo, Egypt after she reported sexual harassment that she was allegedly subjected to by her direct manager. She had to report this incident to the police after a negative response from the editor-in-chief to her internal complaint. While the case was being investigated by the Public Prosecutor, she was prevented from entering the newspaper’s building. She was fired on 2 October 2018. She recently learned that the Public Prosecutor has rejected the case. For more information on May's case, see the 25 October 2018 article in The Washington Post entitled In Egypt, a #MeToo complaint can land a woman in jail.